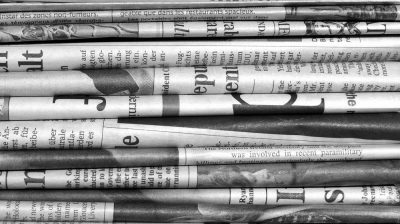 “This Is a Clear Example of the Media Training Your Brain.” Not. 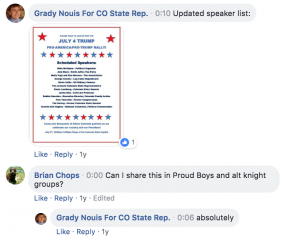 Since declaring his candidacy for the Colorado statehouse in December of 2016, Westminster Republican Grady Nouis has promoted and participated in several far-right rallies organized by hate and extremist groups. Furthermore, he’s documented his participation in numerous videos, including one where he shouts the n-word during an argument with African-American couple in Denver’s Civic Center Park. Last summer, the first since Trump’s election, saw marked increase in alt-right rallies across the country, including several here in Colorado. 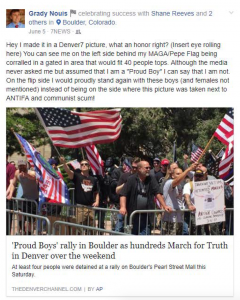 After attending a Colorado Proud Boys rally in Boulder on June 3, 2017, Nouis posted news coverage of the event and noted that he would “proudly stand” with the Proud Boys. Just a week later he joined an “Anti-Sharia” rally at the state Capitol, at which he was one of the announced speakers. Nouis had been heavily promoting the event online, and once it took place he live-streamed much of the event. 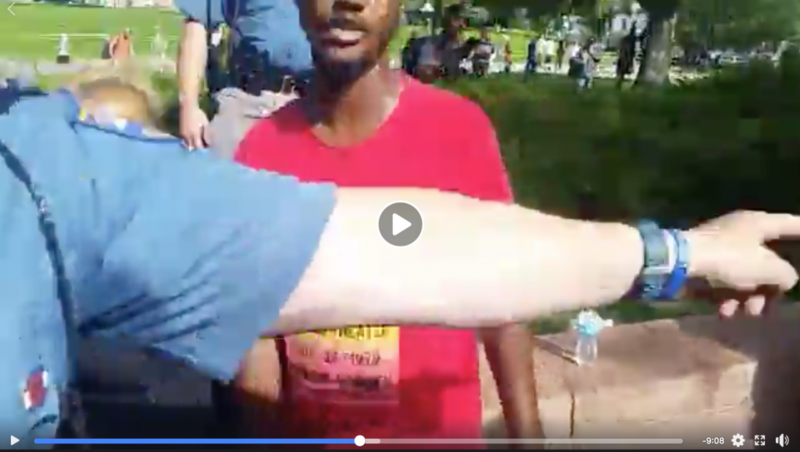 During the event, Nouis shared a video of state troopers escorting him and his fellow far-right extremists away from counter-protesters. 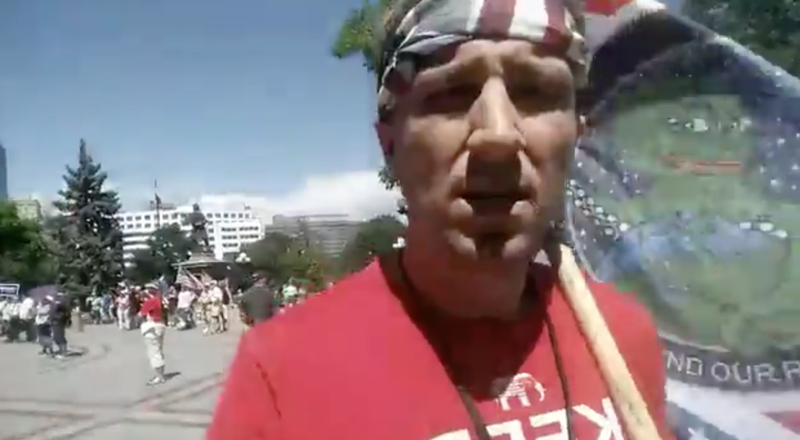 At approximately the 8:45 mark of the video, he repeatedly shouts the n-word during an argument with African American bystanders in Civic Center Park. Weeks later, Nouis made a video promoting another rally at the Capitol–a pro-Trump rally July 4. 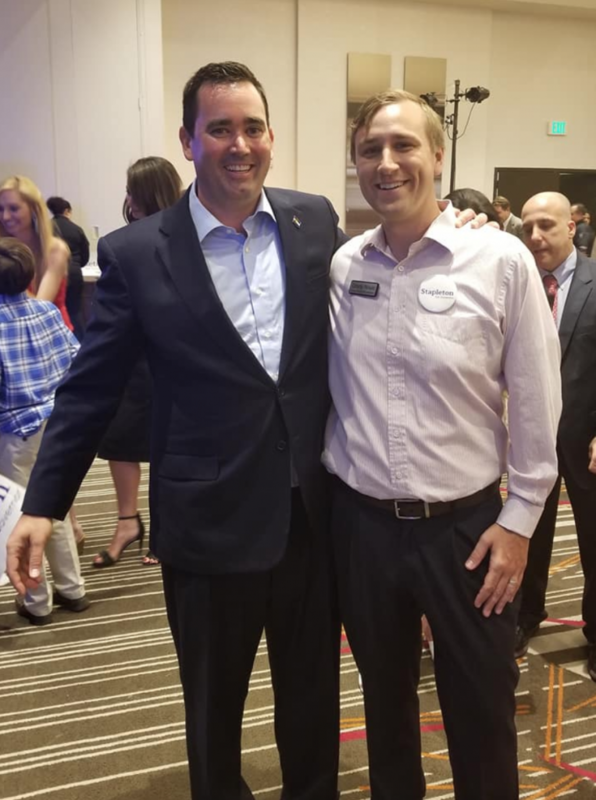 Grady responds “absolutely” using his campaign Facebook account. “Alt-knight” refers to the Fraternal Order of Alt-Knights (FOAK), another hate group which, according to the SPLC, “formed as the ‘tactical defense arm’ of the Proud Boys…The group’s founder, repeat-felon Kyle Chapman, organized FOAK after a melee with counter-protestors in Berkeley, California, to “protect and defend our right-wing brethren” through “street activism, preparation, defense and confrontation.” Nouis asked Chapman directly to share his video promoting the Trump rally. Former VDARE board member and Stapleton endorser Tom Tancredo headlined the July 4 rally. Nouis attended carrying the same “MAGA Pepe” flag he brought to the earlier Boulder rally. Tancredo’s political action committee, “Team America PAC,” (another SPLC-designated hate group) donated $100 to Nouis’ campaign several weeks later. 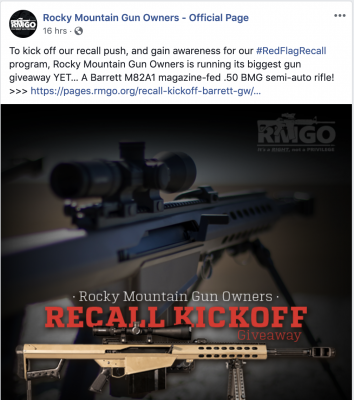 Several other commenters responded, all generally accusing liberals of showing disrespect towards veterans and the military. 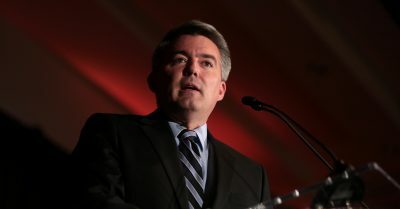 Nouis’ unprompted comment shifted the discussion from a lament of liberal disrespect for veterans and the military to an attack on non-white Americans. 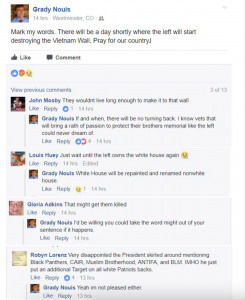 His commenters followed his lead, with one posting that she was angry with President Trump’s recent speech because he failed to mention any of a number of African-American or Muslim groups. She reasoned that Trump’s omission “just put an additional Target on all white Patriots’ backs.” Nouis agreed. An email to the Nouis campaign requesting comment on his participation in these rallies was not returned prior to publication. This post will be updated with any response. This topic contains 0 replies, has 1 voice, and was last updated by Erik Maulbetsch 6 months, 3 weeks ago.